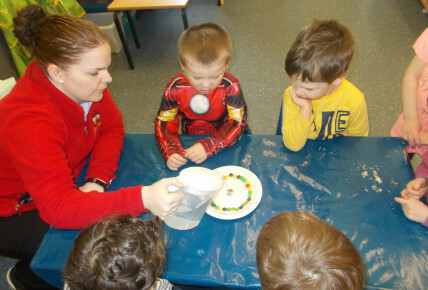 Our Pre-school children have had a fantastic time today experimenting with warm water and skittles, the children watched in awe as they poured the warm water and watched what happened as the colours began to run. 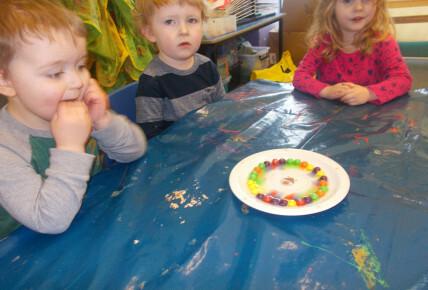 They then decided that they would use two different plates at the same time and have a race to see how quickly the colours reached the Busy bees Bee face in the middle of the plate. 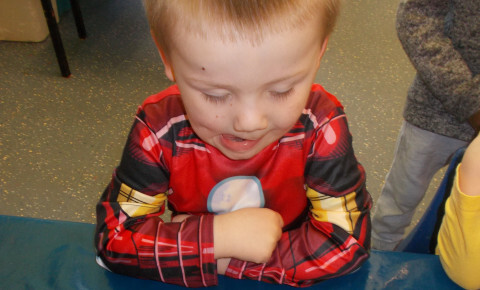 The children were using lots of amazing vocabulary to describe what they saw happening in front of them.